1. “The Grand Budapest Hotel” leads the way. 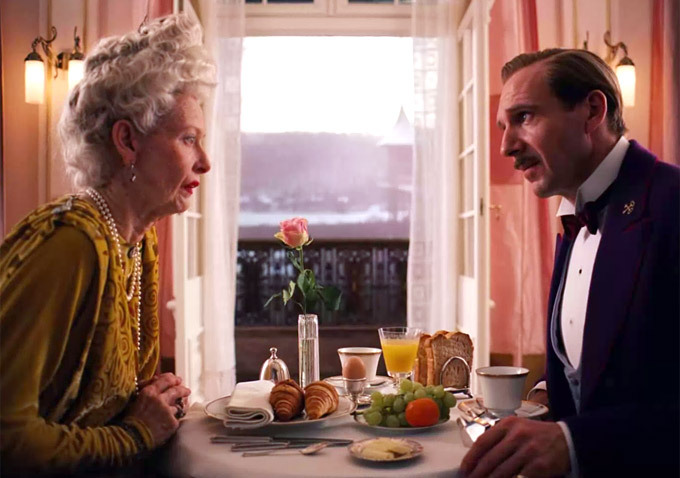 Even without a Best British Film nomination that it was thought to potentially be eligible for (if “Gravity” got in last year in that category, this UK/Germany co-production seemed possible), Wes Anderson’s “The Grand Budapest Hotel” got a major boost by topping the nomination counts of “Birdman,” “Boyhood,” “The Theory of Everything” and “The Imitation Game” to lead the overall pack with a whopping 11 mentions. It showed up everywhere from Best Picture and Best Director to Best Sound and Best Makeup and Hair, making this a very grand day for Wes Anderson fans, indeed. The BAFTAs have historically been very kind to their own Mike Leigh, nominating him for either Best Film or Best British Film (or both) for “Vera Drake,” “Secrets & Lies,” “Topsy-Turvy,” “Naked” and “Another Year.” But despite some of the best reviews of his career for “Mr. 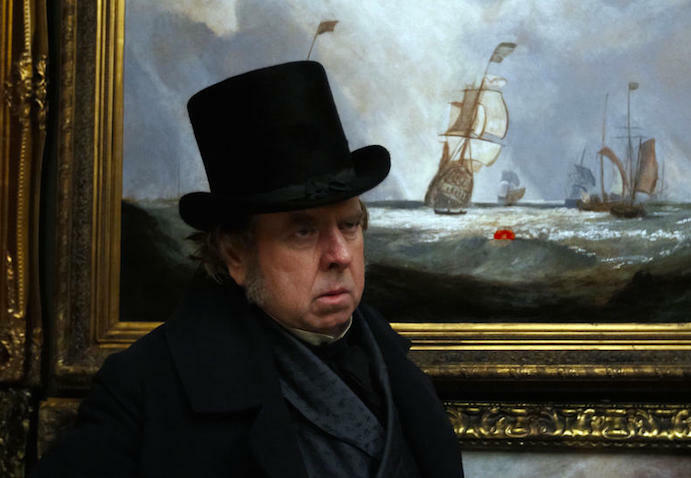 Turner,” BAFTA gave it him the serious shaft. It even missed the Best British Film cut for the likes of “Paddington.” It did manage a couple technical and artistic nods (Best Costume Design, Best Makeup and Hair, Best Production Design and Best Cinematography), but that’s still disappointing given the film’s promise (and isn’t a good sign for its Oscars hopes). 3. Steve Carell gets in… for supporting. The BAFTAs snubbed Steve Carell in the very crowded Best Actor category (more on that later), but they found room for him anyway: Carell joined his “Foxcatcher” co-star Mark Ruffalo in the Best Supporting Actor category, knocking out Robert Duvall and Josh Brolin. Will Oscar follow suit with this race shaking switcheroo? They’ve done it in the past, and on one occasion BAFTA foreshadowed it. Back in 2009, the BAFTAs nominated Kate Winslet for lead even though she’d been campaigning for supporting. The Oscars did the same, and Winslet ended up winning. 4. Rene Russo and Imelda Staunton get in… over Meryl Streep! 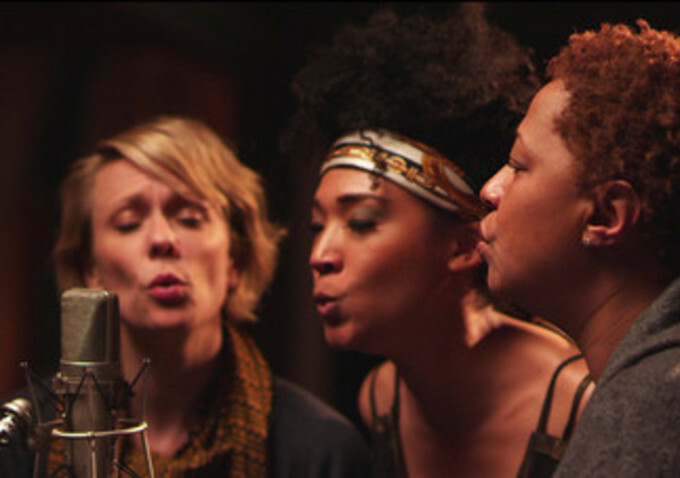 Another very heated Oscar race is Best Supporting Actress, and it just got hotter. The BAFTAs opted to seemingly safe Oscar bets Jessica Chastain and Meryl Streep for the likes of Imelda Staunton and Rene Russo, who have had very little love from other precursors. The British Staunton remains with very little hope for making Oscar’s cut (she’s absolutely lovely in “Pride,” but that film is simply not in the Stateside race), but for Russo this is a major vote of confidence that could definitely be a sign of things to come next week (BAFTA’s overall love for “Nightcrawler” seems telling in general). But will the Oscars really follow suit and snub le Streep? The BAFTAs actually didn’t nominated her last year either for “August: Osage County,” but the Oscars made up for it a week later. Either way, good for Russo and Staunton and good for the BAFTAs for going against the grain. Not having a good morning was Ava DuVernay’s “Selma,” which after having a very promising December is suffering from a major pre-Oscar nomination slump (not to mention a controversial backlash) that is not a good sign of things to come. And a much needed boost did not come from the BAFTA nominations, where “Selma” was absolutely nowhere to be found. Not even its British lead actor David Oyelowo could make it in, suggesting he could be in trouble in a tight race that saw BAFTA opt for Jake Gyllenhaal (who now seems like a sure thing for Oscar) and Ralph Fiennes (who sure has momentum). 6. 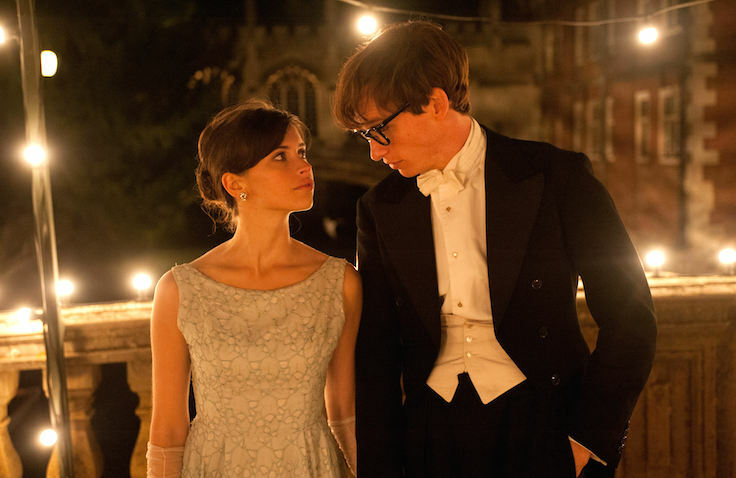 “The Theory of Everything” beats “The Imitation Game” in the battle of the British biopics. Many expected “The Imitation Game” would lead the BAFTA nominations, but instead it placed fourth went it came to the overall nomination tally, behind “Budapest Hotel,” “Birdman” and its fellow British biopic “The Theory of Everything.” “Game” director Morten Tyldum (who is not British) perhaps tellingly did not make the Best Director cut, but “Theory” helmer James Marsh (who is indeed British) did. “The Imitation Game” also got a curious snub in the Best Original Music category, where many felt Alexandre Desplat’s score was the frontrunner to win. Johann Johannsson’s score for “Theory” — which was nominated — seems to now have that designation. 7. Its the 2014 Oscar documentary frontrunner vs. the 2015 Oscar documentary frontrunner. 8. Amy Adams gets the fifth Best Actress slot. Speaking of eligibility rules, Jennifer Aniston was not a factor in the Best Actress race at BAFTA, leaving a slot open in the category. The BAFTAs could have been creative here, giving a worthy mention to the likes of Scarlett Johannson (for “Under The Skin,” which is a British film and was nominated for a couple BAFTAs in other categories) or Marion Cotillard (“Two Days, One Night”) or British 2014 breakout Gugu Mbatha-Raw (“Belle”). But no. They went with Amy Adams for “Big Eyes,” a choice both boring and uninspired. 9. The Best Original Score category is awesome. 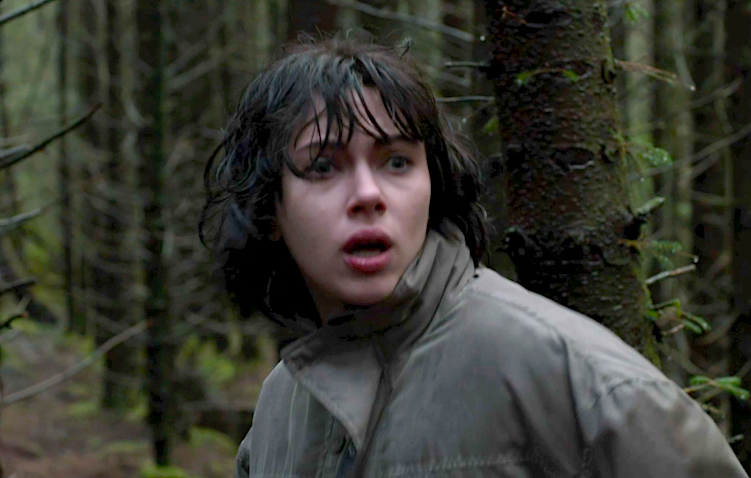 Beyond its deserved Best British Film nod, “Under The Skin” factored into the Best Original Music category and it’s perhaps our overall favorite nomination (and makes up for Amy Adams). Mica Levi’s music for “Skin” just seemed a little bit too out there for Oscar contention, but apparently not so for the BAFTAs. And they took the category a cool step further by including Antonio Sanchez’s “Birdman” score, shamefully already deemed ineligible for the Oscars. 10. Stephen Daldry’s “Trash” gets a foreign film nomination. Brit Stephen Daldry’s “Trash” has yet to set a date for its American premiere, but that didn’t stop it from showing up at the BAFTAs, though exclusively in the Best Film Not In The English Language category. Shot in a mix of English and Portuguese, the film stars Martin Sheen and Rooney Mara alongside a group of unknown young Brazilian actors. It is set for UK release later this month (just making the eligibility cut for BAFTA), but its Stateside release is still TBD. Notably, Daldry is the only director to receive either a Best Picture or Best Director nomination at the Oscars for his first four films (“Billy Elliot,” “The Hours,” “The Reader” and “Extremely Loud and Incredibly Close”). If “Trash” is to follow suit, we won’t find out until a year from now.